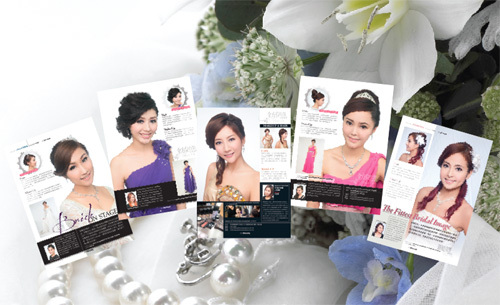 Bride TM is the subsidiary bridal makeup and hairstyling service of MAKE UP FOR EVER ACADEMY Hong Kong. Being awarded "Couple's Favorite Bridal and Hairstyling Service" by ESD Life for 6 years with the prestigious brand reputation of MAKE UP FOR EVER, our professional and tailor-made makeup service has gained popularity in the industry. BrideTM Club provides professional counselling service and special promotions to our members. All customers who have purchased our makeup and hairstyling services will immediately become our club members and enjoy the above exclusive services. Bride TM offers tailor-made makeup services which are highly-flexible and can accommodate every need of you. No matter what styles you wish (elegant, ethnic, western, trendy, to name but a few), we offer the most tailored service for you, covering hairstyling, makeup, hairpiece design, nail art, etc.